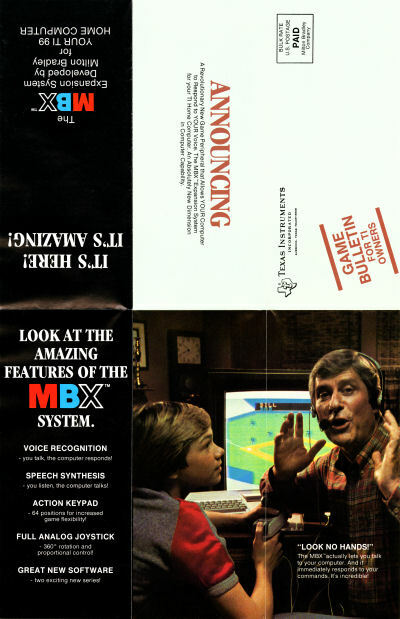 The Milton-Bradley MBX, launched around 1983 for the TI-99/4A home computer, is a strange product: it combines a pistol-grip joystick with a rotating knob and analog control, a 64-position touch pad with overlays, and voice-recognition headset into one package that is supposed to enhance gameplay on specially-designed TI-99/4A games. 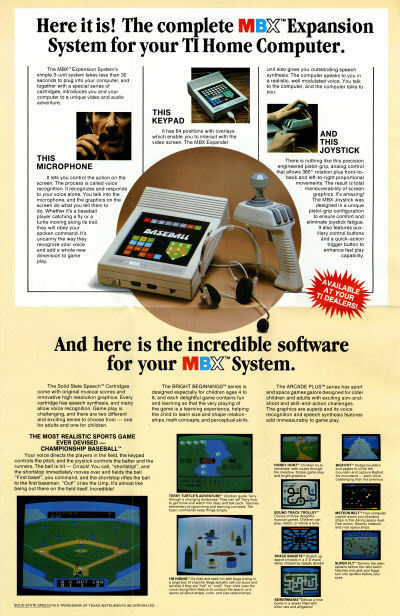 Now that you have an idea as to what the MBX System is, below is a little history provided by Mike Langieri (the creator of the device). According to Mike, the MBX actually started out as a stand-alone game console in 1982 and was to be Milton Bradley’s answer to the Atari 2600 and Intellivision. 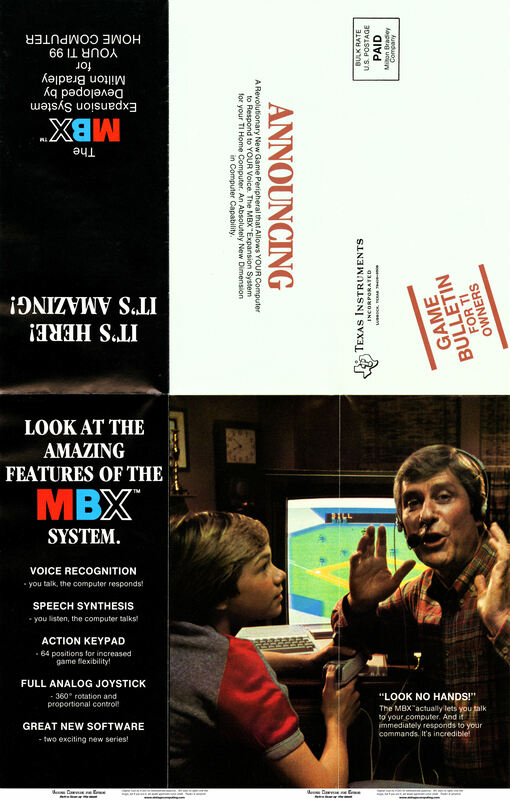 MB’s plan was to provide the game player with voice recognition, speech synthesis, and an action-input keypad which in turn would give them an advantage over the systems already on the market. Now how come MB did not go ahead with their own system in 1982? Once the Colecovision came out, Jim Shea (then president of Milton Bradley) thought that the market was not big enough to support 4 game systems from Atari, Mattel, Coleco, and Milton Bradley and therefore killed the project. However, so much development went into creating MB’s own video game unit that Mike was then assigned to finding a use for all the technology they developed. Eventually it was decided to transform Milton Bradley’s gaming system to an add-on for the TI-99/4A, most likely due to the fact that MB had earlier developed the Gamevision line of video games for the 99/4A and also created the graphics chip used inside of the TI system. Thus, “the MBX was the phoenix that rose from the ashes” as Mike wonderfully put it. It’s amazing to think “What if” and wonder what a Milton-Bradley game console might have been like. I believe that Milton Bradley also originally tried to sell this idea to Atari, but they declined, and it ended up as a TI-99/4A peripheral. A non-rotating, non-analog variation on this joystick did end up as Atari’s Space Age joystick, though. 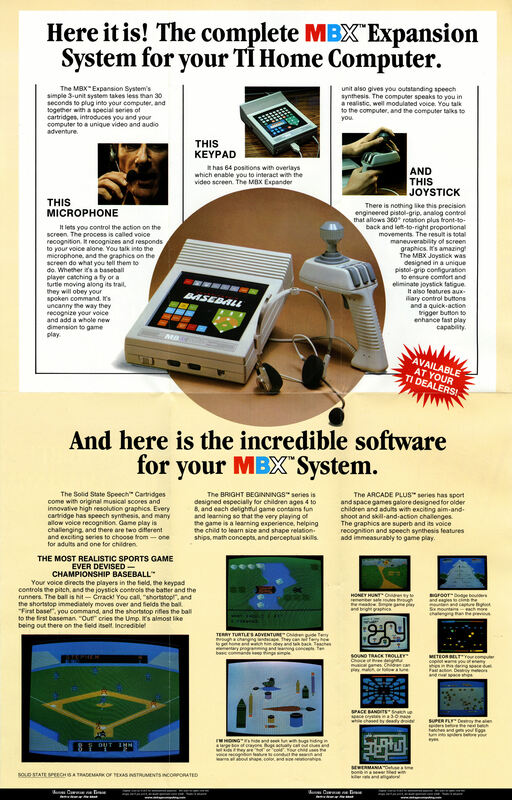 I have a complete MBX system in the box (which may be where I got this flyer), but for some reason I have never used it. I think that’s because I don’t have any of the games that support it — or I didn’t 17 years ago when I first bought my MBX on eBay. Right now I don’t even know what box my MBX is stored in, so it would be hard to rectify that. Discussion Topic: When was the first time you ever used voice commands with a computer? 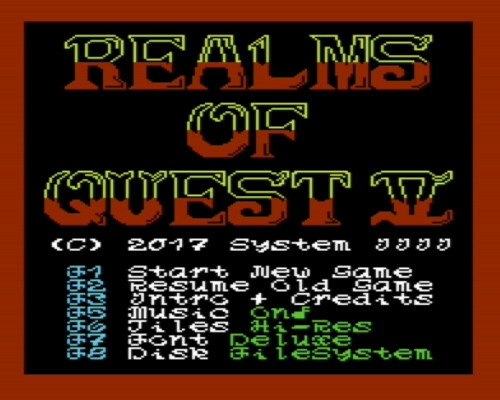 Last month, veteran Commodore VIC-20 developer Ghislain de Blois emailed me about his latest project, a turn-based RPG called Realms of Quest V.
He asked me to spread the word, and since I recently upgraded the WordPress installation for this site, it’s actually easy for me to do so. It’s an RPG game that will span 4 disk sides. -10 player characters allowed in party with an additional 10 spaces for non-player characters thus allowing a party size of 20 characters. This is an 8 bit RPG record. -customizations: choose from 4 fonts and 2 graphical viewing modes. I will hopefully be done in a few months. I’ve been working on this game every day since the beginning of February. Rolling Stone recently launched a dedicated gaming site called Glixel, and just recently, EGM alum and Glixel’s General Manager, John Davison (of whom I am a big fan), asked me to write something for the site. So I did. 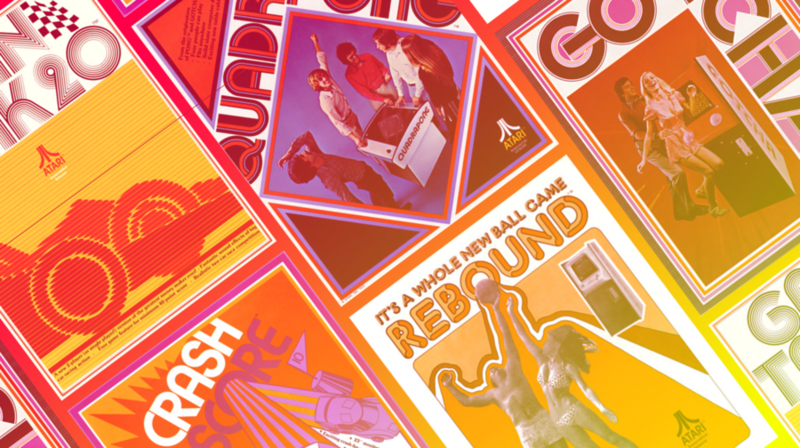 Atari turns 45 this month, and I thought it would be fun to look back at some of Atari’s early coin-op titles that very few people have heard of. The result is called “Atari’s Forgotten Arcade Classics,” and you can read it now over at Glixel. If I weren’t so busy with other projects, I’d dive more in-depth into the origins of Atari — I certainly have a lot to say about it. But that will have to wait until another time. Until then, I hope you enjoy this piece. I mentioned this in my most recent Retro Scan, but I figured this was worth repeating in its own post. 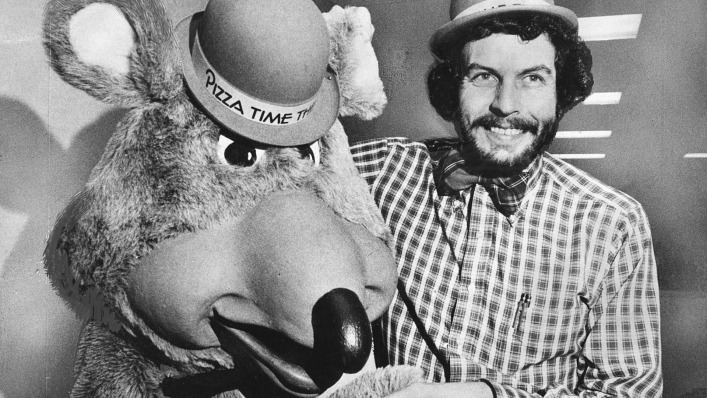 Chuck E. Cheese’s Pizza Time Theatre launched 40 years ago last month — on May 16, 1977. To celebrate the anniversary, I wrote a long feature about the origins of the pizza chain for FastCompany that they published last week. In the piece, you can learn about how Chuck E. Cheese was originally supposed to be a coyote, read about rat-related intrigue, and glean some of the visionary genius of Nolan Bushnell, who saw the chain as a way to bring arcade video games to the mainstream — as well as scratching a fundamental itch of human nature. It worked. After promising this for years, it’s time to finally release the Prodigy Preservation Project’s reverse-engineering tools. They’re not much, and they’re written in Python, but this code is the means by which I’ve been extracting fossilized Prodigy pages from STAGE.DAT files for the past few years. I have been delaying announcing their availability because I was hoping Jim Carpenter, the author of these tools (and my partner on the Prodigy Preservation Project) would have more time to add more functionality and documentation, but he has not made any changes to the code since late 2015. Yeah, I know that was almost two years ago. I’m sorry — things move slowly in ProdigyLand. So here it is, everybody. Have at it. I hope you can help us improve them. Just let me know what you find, and I’ll add it to my Flickr galleries. While researching the article, I recalled my childhood token collection (pseudo numismatic, as they say) that likely had a few vintage Chuck E. Cheese specimens. After checking, sure enough, I found five authentic Pizza Time game tokens dated from the years 1980, 1982, and 1983.